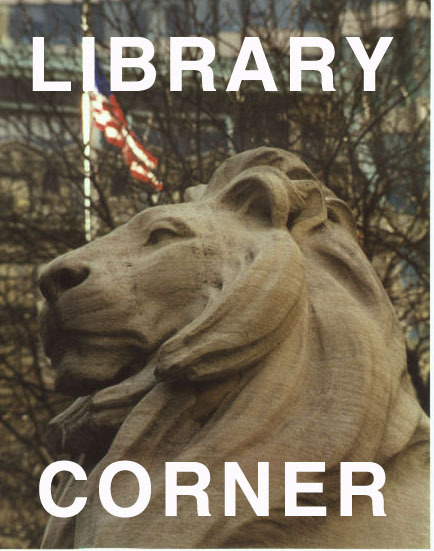 About once a week, I post links to digital-related library news articles and information about digital collections available online. I also post other links of interest about the digital life on the Google Plus eBook Evangelist Page. Now, you may be asking, “What does Mother’s Day have to do with a blog about e-books and the digital life?” Actually, it turns out, quite a bit. 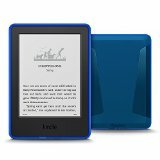 In 2008, at my request, my husband and children bought me one of the first generation Kindles as an early Mother’s Day present. I am not exaggerating when I say that that gift changed my life. Back in 2011, I started an e-book blog. Obviously, I wasn’t ready to be serious about blogging. It only lasted for two blog entries, LOL! But in the first entry on that blog, I shared my feelings about my first Kindle. At the end of April, 2008, I got my first Kindle. It cost $400.00 and it totally changed my life. I had been a avid reader since childhood, but my vision was starting to deteriorate. I had seriously minimized my reading due to the headaches and discomfort that it caused. People who hear me talk about eReaders now would be very surprised to learn how I struggled with the decision to buy that first device. Like many avid readers, I too loved the physicality of the reading experience, the touch and the feel of a book. But, at the end of the day, it all boiled down to the fact that I was just tired of not being able to read. I really was like a kid in a candy store in the first days with my new Kindle. It only took a few minutes to get the operations down. I then started loading up the device with many of my favorite books. I bought digital versions of all of Anne McCaffrey’s books. I re-read Mark Twain’s A Connecticut Yankee in King Artur’s Court and Edgar Rice Burroughs’ Tarzan. I discovered horror writer Scott Sigler. In short, I was in heaven because I could read again! And I haven’t really looked back. Even though I have now had surgery on both my eyes, my vision is still somewhat impaired and I no longer read print books. I have gone on to own almost every Kindle model available as well as many other e-readers. I own several Nooks and other brands, but I always come back to the Kindle because of the ease of use. These days I use a Kindle Paperwhite for my everyday reader. My husband even has one of his own now. But I still have that first, original Kindle. And, yes, it still works, although some of the newer e-books don’t display correctly on the device. The original came with a removable battery and seven years later, I am on battery number two. The first one lasted for almost six years! 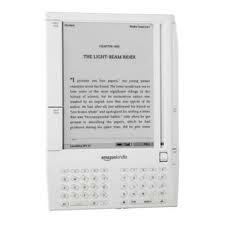 What has also lasted is the passion for e-reading that that first Kindle ignited in me. It has been nearly eight years since the first Kindle came on the market and went brought the concept of e-reading to the mainstream. It saddens me that there are still so many books not available in an e-book format. Every time a well-known digital hold-out like Charlotte’s Web or To Kill a Mockingbird comes out as an ebook, someone says “All the important books are now available digitally.” Yet everyday, I find titles that are still not available as e-books. And some of the prices? YIKES! So no matter what anyone says, there are a lot of books that need to be digitized. Backlist digital pricing is still not reasonable. We still have more work to do…. So how about you? Ever have a tech gift that changed your life? Today, May 6th, is the ninth annual Day against DRM. Digital rights management in one of the primary limitations affecting digital goods. It places controls on the access to books, movies, software on devices. It is a feature that keeps us from truly owning the content we purchase. As digital content continues to rise in popularity, DRM, geo-blocking, licensing terms and file format types are important issues that affect our digital lives. You can visit the official Defective by Design website for more information. Image credit: From Defective by Design via Creative Commons Attribution-ShareAlike 3.0 Unported license.